Many shared these sentiments – wanting the course and the lively discussions to continue. An Extinctions Facebook page has been created to maintain a community beyond the five weeks of learning engagement. 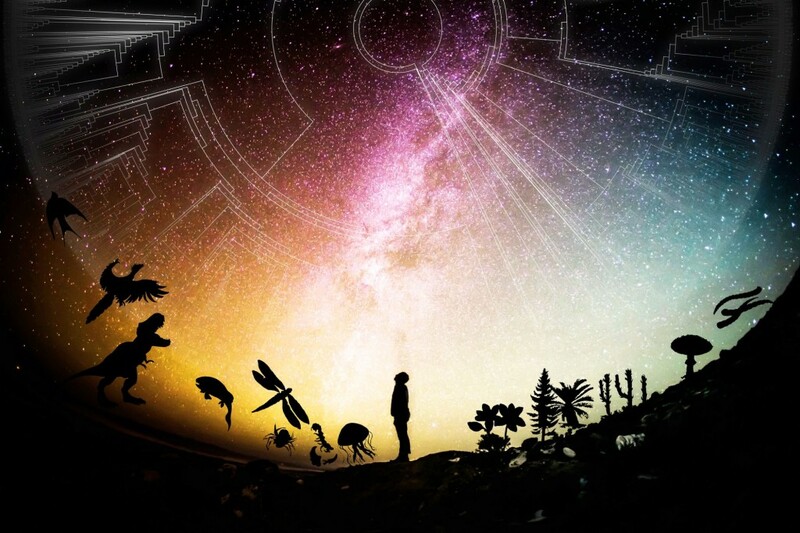 The five week course takes participants on a journey to explore how life on earth has been shaped by five mass extinction events in the distant past, and how biodiversity is facing a crisis, with the prospect of a sixth extinction event today. Anusuya introduces each week and interviews guest scientists about how their research informs us about the biodiversity of our planet including the very first life forms; fish and tetrapod diversification; the radiation of reptiles and dinosaurs; and the rise of mammals. The course covers the five previous mass extinction events in the distant past and then looks at the current threats of a sixth extinction. It is hard to believe this today, but Professor Anusuya Chinsamy-Turan became a scientist quite unintentionally. 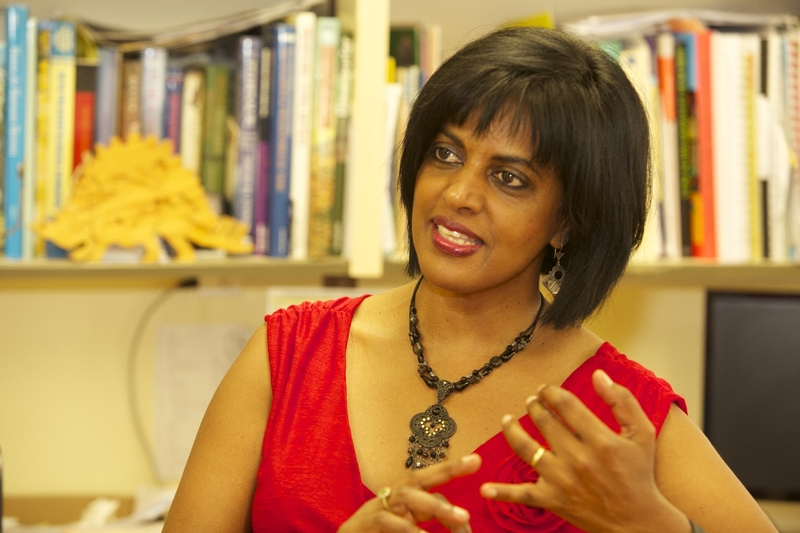 You can read about how Anusuya’s career shifted from her vision of becoming a high school biology teacher to the world-famous dinosaur researcher she is today. Over 3,300 participants from 120 countries around the world signed up for the first run of the Extinctions: Past and Present course on 20 March 2017. 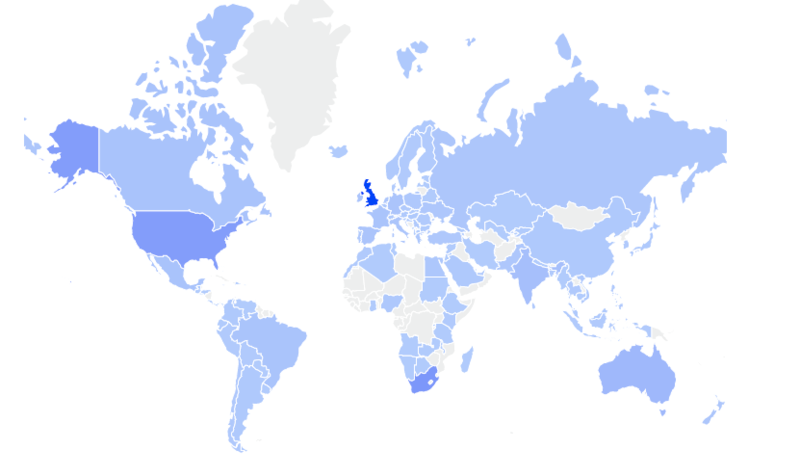 The top countries were the UK and South Africa, followed by the USA, Australia, India, Mexico, Canada and Brazil (see map below). Nearly half of those completing the pre-course survey were over 55 years with the rest of the cohort being equally spread across the younger age groups (including some under 18s!). There were 2,000 who started the course, which is typical of MOOCs, where about half of those who signed up become active learners. The participants ranged from highly qualified people learning alongside postgraduate students, teachers, grandparents, and school learners. Many enrolled for general interest and enjoyment, with a high proportion sharing a concern for understanding humans impact on life on earth. There were intense discussions breaking out just about every week, a feature of the FutureLearn courses. Participants discussed all kinds of related issues from the oldest evidence of life; where humans originated; whether the first dinosaurs were bipedal; whether viruses are alive; whether a mass extinction can be called an ‘event’; what caused the different extinctions; how limbs and eyes evolved; is the Anthropocene a real phenomenon; whether humans will survive the next extinction and many others. Participants contributed many additional links and readings to supplement the discussions, and Anusuya offered guidance to other research where the debates extended into new areas. While specifically designed as a public outreach and popular science course, the feedback on the course was positive from participants with many different backgrounds. Compared to other courses we saw very high engagement. Just over 40% of the 2,000 who started the course, eventually completed most of the course. The final week, which considered the possibility of a human induced sixth extinction, provoked tremendous discussion, exceeding the level of discussion in all but the first week. 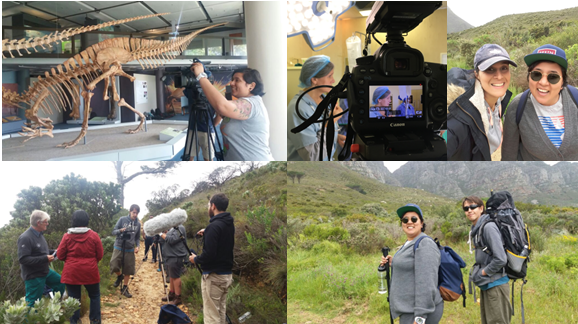 The making of this MOOC was quite eventful – requiring the team to hike part way up Table Mountain in the rain with camera equipment to film an interview with a plant ecologist; changing filming venues during a campus shutdown as well as the challenge of visually representing deep time in diagrams and graphics. This course was an enormous team effort – Anusuya and her PhD student, German Montoya, spent hours preparing and editing the material. Anusuya herself not only recorded many lectures, but also interviewed 15 scientists about their work to showcase current research on aspects covered during the course. These interviews were very popular with participants [for example, John Pearce said on his Class Central Review: Especially stimulating were the video interviews with a wide range of specialist scientists actively engaged with state of the art work in their fields]. From the production side – CILT deployed two videographers, a graphic designer, two learning designers and a project manager. 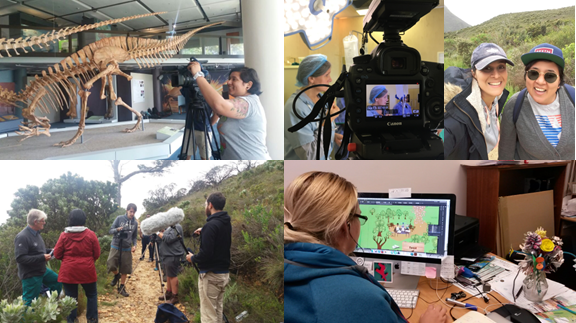 Even the production team joined the Extinctions course fanclub – going as far as designing a special Extinctions course t-shirt as a memento of this epic experience! MOOC production team: Been there, done that and got the t-shirt! 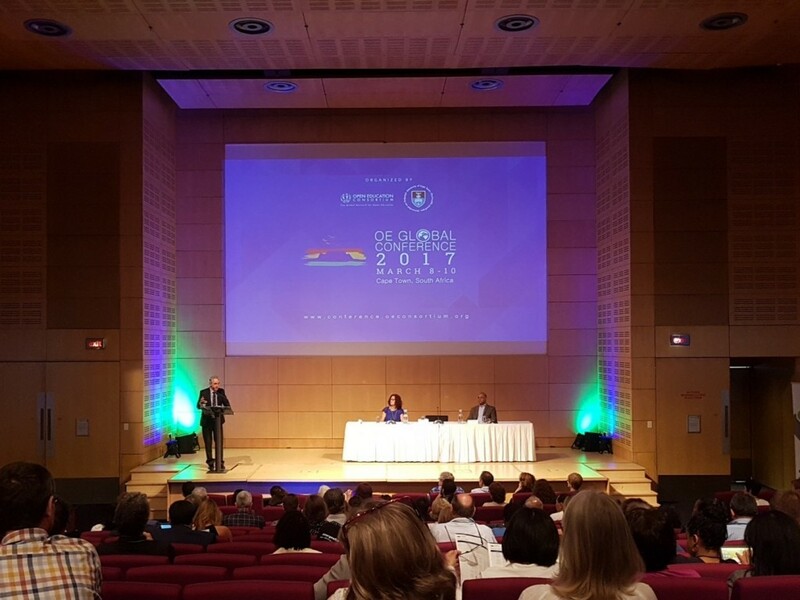 From 8-10 March, Cape Town played host to Open Education Global (#OEGlobal2017), an international conference organised by the Open Education Consortium. Over the 3-day jam-packed initiative, more than 200 delegates from 47 countries engaged in the conference as a place to “discuss, plan, reflect, collaborate, innovate and celebrate openness in education”. During his opening speech at the conference Dr Max Price, Vice-Chancellor of the University of Cape Town (UCT), emphasised the need for “free decolonised quality” education. Although the importance of open education was clear in his speech, Dr Price highlighted big challenges faced in open education (OE). He stressed the need for OE researchers to focus on finding why access and uptake of open education resources (OER) are not living up to the expectations. A similar sentiment was expressed by second keynote speaker, Professor Narend Barijnath, CEO of the Council on Higher Education in South Africa who presented the idea that knowledge is a ‘human right” and “public good” and shouldn’t be available to only those who can afford it. While ubiquitous access to education may be the ultimate goal of OE, it faces many challenges, especially in developing countries, where data costs are high and access to technology is limited. Another concern is the quality of the OER produced. Despite these challenges, many universities have committed themselves to producing content that can be shared freely. As Professor Barijnath said in his speech “OER are here to stay!”. One of the ways this is being accomplished is through Massive Open Online Courses (MOOCs). As part of the MOOC implementation team at the UCT’s, Centre for Innovation in Learning and Teaching, I chose to attend a number of presentations around MOOCs, to understand how MOOCs are being utilised in other contexts. Besides being a conference participant, I presented on my master’s research. In my presentation entitled, “‘I don’t always wrap MOOCs but when I do…’ – Improving postgraduate students experiences of MOOCS as OERs through facilitation and face-to-face contact” I shared insights into using MOOCs in a blended environment in a postgraduate student setting at UCT. According to my research, even with the use of voluntary local face-to-face facilitator and peer groups, students still struggle with the independent learning that MOOCs often require. The study foregrounded the importance and benefits of face-to-face contact, particularly around the social space, where students are able to have “real” and immediate discussions. A particularly interesting presentation I attended was by William Van Valkenburg from the Delft University of Technology (TU Delft) in the Netherlands who presented on “Everything you want to know about MOOCs”. TU Delft now has a portfolio of over 60 MOOCs on the edX platform with top MOOCs in the areas of Data Analysis, Creative Problem Solving, Astrophysics and English Grammar and Style. It is also currently experimenting with other universities on how MOOCs can be used for credits in a traditional university setting. I attended a collaborative session titled “Third Mission of Universities, MOOCs and OERs” which included research from Paola Corti, Cable Green, Joseph Pickett, Rory Mc Greal and Jane-Frances Agbu. Paola Curti presented on the research of Jane-Francis Agbu (who was unable to attend), that foregrounded the issue of the shortage of space in Nigerian universities for high school graduates. While 1.4 million youth qualify for university entrance, there are only 400 000 spaces available. To fill the gap for students who were not able to get a place at the university, a year long MOOC, “The History and Philosophy of Science” was run in collaboration with the Indian Institute of Technology Kanpur. The findings of this study were unexpected; it found that the MOOC missed its intended target audience, as of the 401 participants, 56% were well-educated – having completed a postgraduate degree! This resonates with much of global MOOC research, where MOOC participants are commonly found to be degree-holders. Another MOOC-related presentation was an Action Lab by colleagues in CILT around the idea of Making Use of MOOCs. Drawing on examples of how MOOCs, both at the level of individual materials and used as a whole or part of a course, are being deployed for a variety of educational purposes, this workshop explored the development of a framework for MOOC re-use. In addition to MOOCs there were also presentations on other prominent projects incorporating OERs. One such project is the Research on Open Educational Resources for Development project (ROER4D) which presented its work and research on the adoption and impact of OER and associated practices in the Global South (see blog post). The examples described above are a just a few of the research projects and initiatives taking place in OE around the world which were showcased at the conference. While OEGlobal2017 demonstrated that open education continues to be on the rise, it also highlighted that there are still a number of challenges it faces along the way. 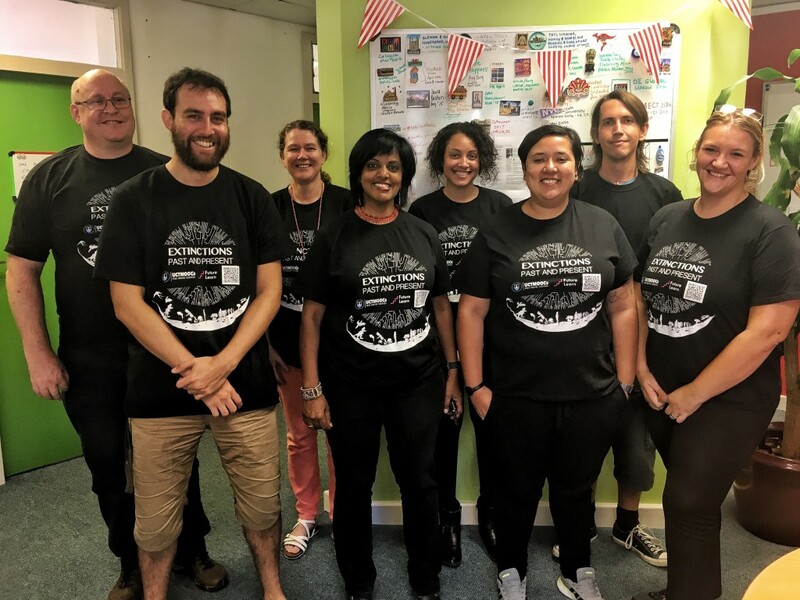 “My favourite thing about working as part of the MOOC team is knowing that people are really learning because of what we are doing.” Words that sum up the feelings of some of the most important people of the MOOC team, our digital media unit (DMU). Our DMU are the people behind the academics in the MOOC. You could say they’re the secret ingredients, for without them, there would be no visual representation that make a MOOC. 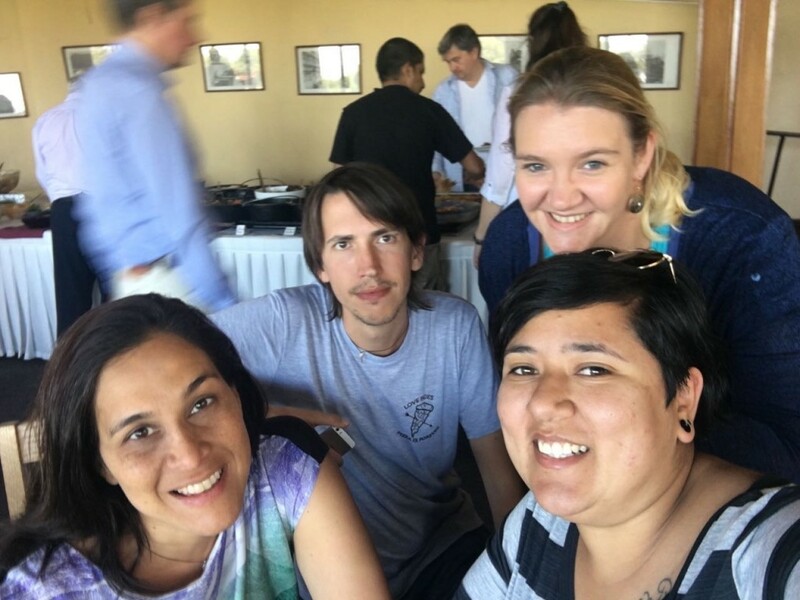 The team consists of four extremely talented individuals, Nawaal Deane, head of the unit, Rondine Carstens, digital media designer and Kristi Edwardes and Don Leitch our two video producers. It is not uncommon to see these four trekking up a mountain, in the rain or dressing up in full medical scrubs just to get the perfect shot. 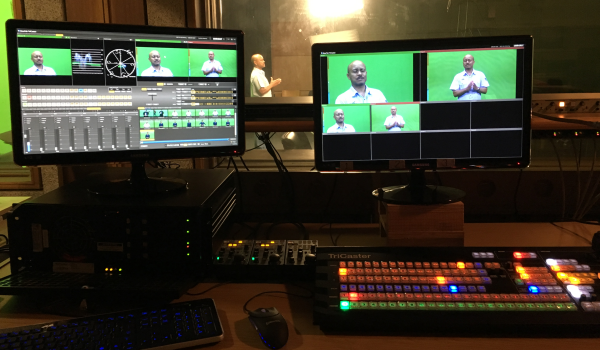 Don has spent quite a bit of time thinking about using video for education and how it is different to video for entertainment (read his blog here). Although Don’s primary expertise is in video editing, he has experience in cinematography, sound design, animation, directing and script writing. He has also been involved in several award-winning short films, music videos and commercials. For Rondine, being part of the team that launched the first MOOC from a South African university (Medicine and the Arts) is a “privilege and an amazing experience.” Rondine is the longest standing member of the DMU and also the one who creates all the beautiful imagery used throughout the courses. She is, however, much more than a designer and the department as a whole would be at a loss without her. One of her core drives in life is usability and user experience design, which she enjoys thoroughly as it encompasses her design background and skills, technology and development knowledge, as well as her passion for people. Nawaal, affectionately know as the ‘boss lady’, has the mammoth task of overseeing everything from filming to editing and post-production. Her nickname is apt given that she has the ability to produce high-quality work while putting the well-being of her team first. Having worked with various UCT departments over the years, Nawaal is not new to the concept of using video to facilitate learning, “I am excited to play a central role in the MOOCs’ project at UCT, to explore the various methods of creating video as a learning tool in support of student learning, as well as have to work with academics who use and research open education.” Nawaal truly believes that video as a learning platform is the future. She has worked for local and international broadcasters shooting news and feature length documentaries. “What struck me working in the mainstream media, was how inaccessible and costly video production and distribution was. But now I am excited to be part of a tipping point, where students and academics have access to create and share their own educational videos and contributes to the philosophy of open education. When viewing the finished product, it is hard to realise how many hours have been spent editing videos or making the twentieth change to an image or animation just so that it is perfect. In 2016 the team received two Marketing, Advancement and Communication in Education awards: An Award of Merit in the ‘Skills division: Videography: Feature short’ division for the promotional videos of Education for All: Disability, Diversity and Inclusion and Becoming a changemaker: Introduction to Social Innovation. Next time you take a MOOC give a thought to the DMU’s that put in hours upon hours of creativity and passion, to bring you education that is not only informative but visually entertaining and accessible to all.